This frog occupies a range of habitats from wet sclerophyll to woodland and even to semi-arid environments. The body usually appears blotchy with brown to dark red brown blotches on a paler background, however variants to grey and even yellow are known. 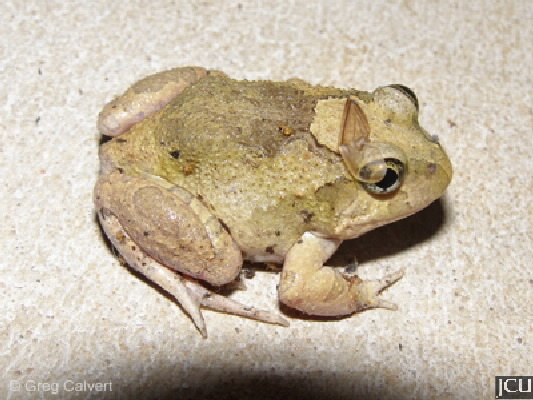 Small warts are present on the skin on the back, Belly is whitish and smooth; nose is blunt and legs are short. Fingers are rarely webbed but there may be some webbing between the toes. This species was previously known as Limnodynastes ornatus.